An alliteration is multiple words in the same sentence that start with the same sound. 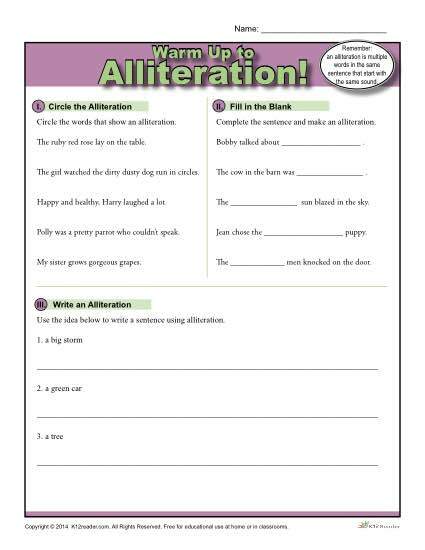 In this free printable worksheet, students identify alliteration patterns and make their own! This activity is great for 2nd grade but can be use for other grades as appropriate.